Finding the perfect sport for your child can be difficult. Maybe they want to play everything or maybe they’re only interested in sports that aren’t offered in the area. We have found that most kids will jump at the chance to try fencing because it looks like so much fun. Starting at a young age potentially offers your children many advantages later in life. At Lilov Fencing Academy in Cedar Grove, our 10,000 square foot fencing school is set up to teach kids as young as five how to fence. We offer private lessons and group fencing classes for children of all ages and skill levels. We provide all of the equipment that they’ll need, and our coaches will do everything possible to foster a love of this sport in your kids. 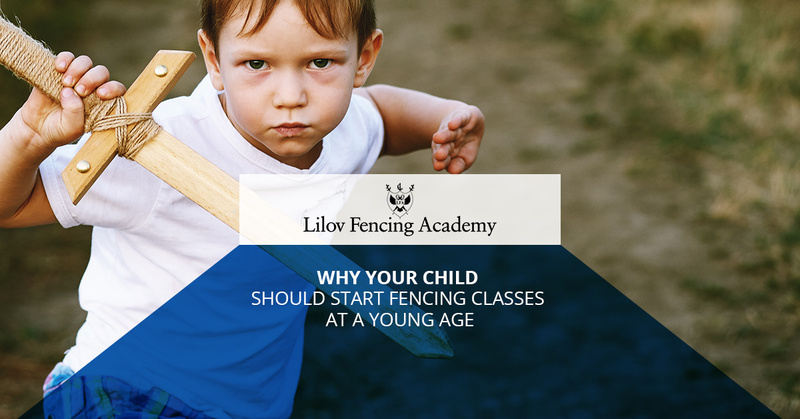 Contact us today to find out how to get your kids started on the exciting path of fencing, and read on to learn more about why starting sooner is a good idea. Participating in any sport is good for a confidence boost, but fencing is unique in that the confidence a child gains rests solely on their own actions and dedication. While being a part of team is fun, some people don’t feel like they contribute as much as others which can lead to feelings of inadequacy. When your child competes on their own, their victories are all theirs, and even losses hurt less because they are opportunities to learn about the sport and to improve their own skills. The confidence our students gain will help them in all parts of their lives. Again and again we have seen that our fencing students have improved their performance in school and that they are more social and outgoing. By having your child start fencing classes when they are young, you’re giving them every opportunity to make the most out of their lives by engaging with others and learning the discipline they’ll need to succeed at school and later at their jobs. The most impressive college athletes are usually the ones with similar origin stories — they started playing their sport when they were young and never gave up. Fencing is no different. Some of the best universities in the country (and the world) have fencing teams that are always looking for the next generation of talent. Fencing is a prestige sport that has a lot of money and support behind it because universities want to be able to compete at national and international levels, so they offer great scholarships to fencers who are at the top of their game in terms of the sport and as academic leaders. Contact us at Lilov Fencing Academy today to learn about our fencing programs. Our coaches are the best in the world and feature former Olympic and national team coaches as well as top-ranked college fencers. Your child can go far with fencing while having a great time doing it.